The intensity of real Cote d'Or milk chocolate with praline dessert 58 filling for an unprecedented pleasure. 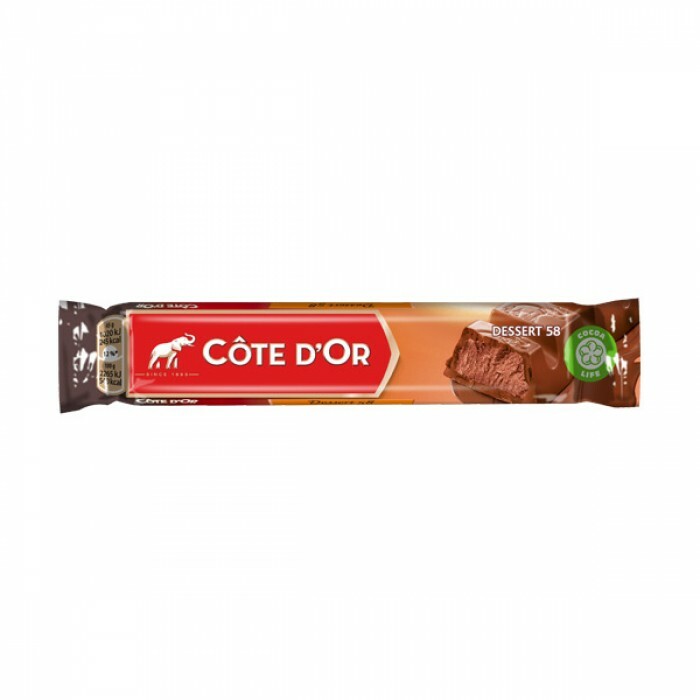 The Cote d'Or bars offer you customized chocolate pleasure at any time of the day, in resealable packaging. The intensity of real Cote d'Or dark chocolate filled with a delicious vanilla cream for an unpreced.. The intensity of real Cote d'Or dark chocolate for an unprecedented pleasure. The Cote d'Or bars off.. The intensity of real Cote d'Or milk chocolate for an unprecedented pleasure. The Cote d'Or bars off.. The intensity of genuine Cote d'Or milk chocolate with pieces of hazelnut for an unprecedented pleas.. Discover the refined praline double lait filling, the most famous filling in Belgium. Typical .. The intensity of real Cote d'Or white praline chocolate for an unprecedented pleasure. The Côte d'Or..
Cote d'Or Dark Chocolate Truffle Bar 47g - feel the intensity of Cote d'Or dark chocolate truffle fo.. The intensity of real Cote d'Or dark chocolate filled with a delicious egg cream for an unprecedente.. The intensity of real Cote d'Or milk chocolate flled with banana flavoured cream gives you an unprec.. The intensity of real Cote d'Or milk chocolate filled with coconut cream gives you an unprecedented .. The intensity of true Côte d'Or dark chocolate filled with a delicious pistachio cream.The Cote d'Or..